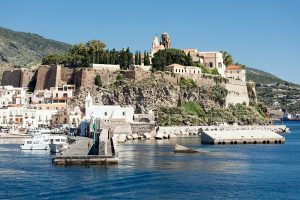 The largest of the Aeolian Islands, an island archipelago tucked away in the southern corner of the Tyrrhenian Sea, Lipari Island was probably more well known in Ancient Times than today. Having been formed by a series of volcanic eruptions, the island is littered with pumice and obsidian stone, both prized by civilizations for centuries, especially obsidian, which given the sharp glass like aspects of this stone was sought for weaponry, knives and other utensils created for cutting as needed in everyday life. 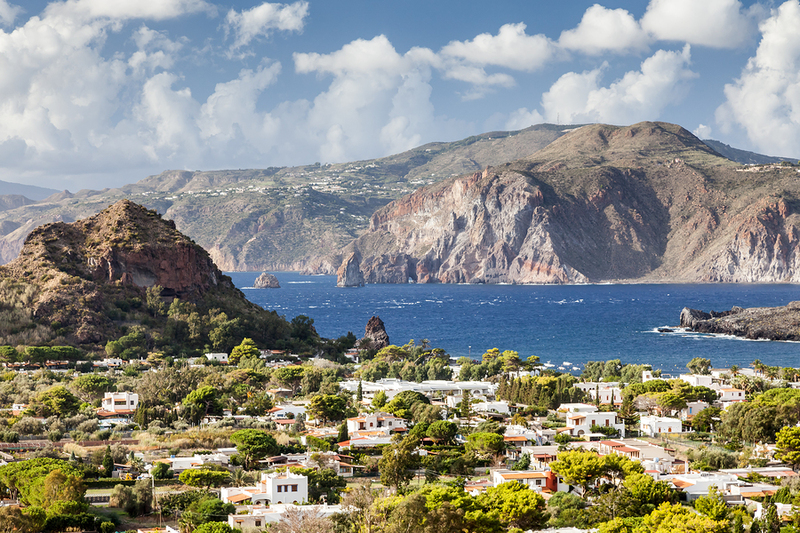 Today the mining of both stones has been stopped, as the Aeolian Islands, including Lipari are now a UNESCO World Heritage Site. 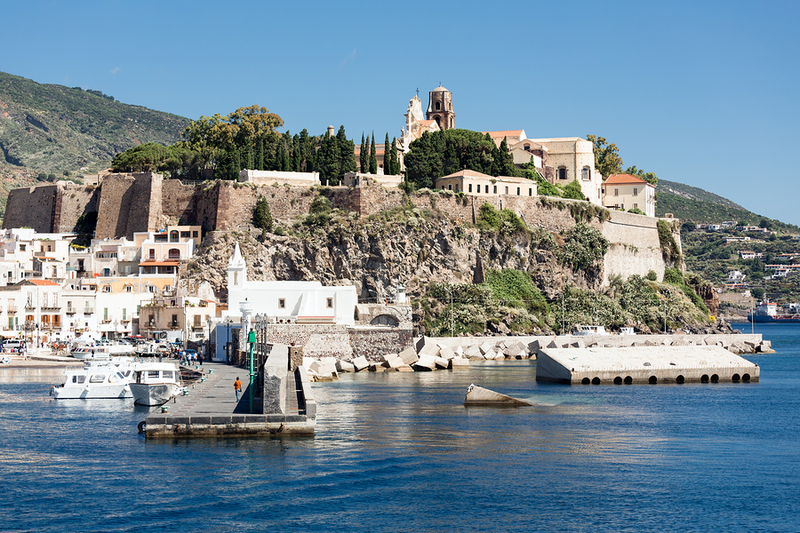 Stop at Lipari while on a crewed yacht charter and step into yesteryear. Today, on Lipari, the volcanos deep below the surface of the island are still active pushing mineral laden waters to the surface in hot springs and theramoles. During Roman times, the island was prized as a resort island for geothermal spa treatments, which are still available on the island today, using the same hot springs and thermaroles. 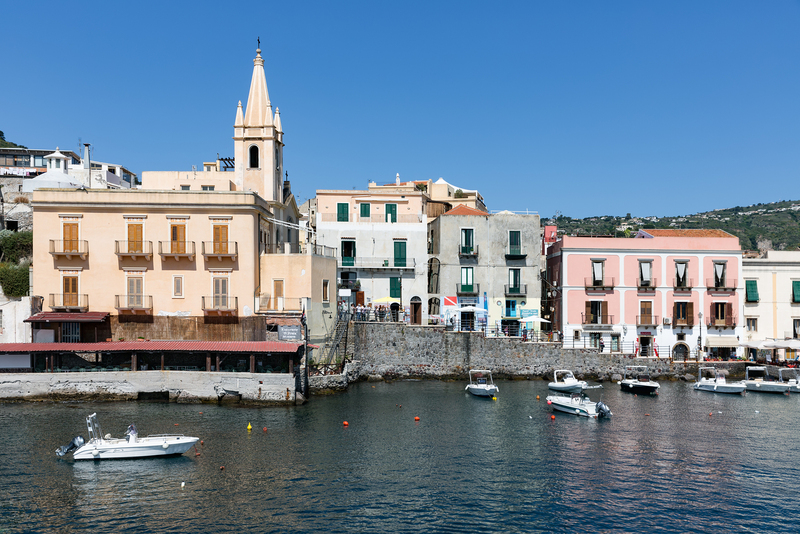 The main town on Lipari, is also named Lipari. 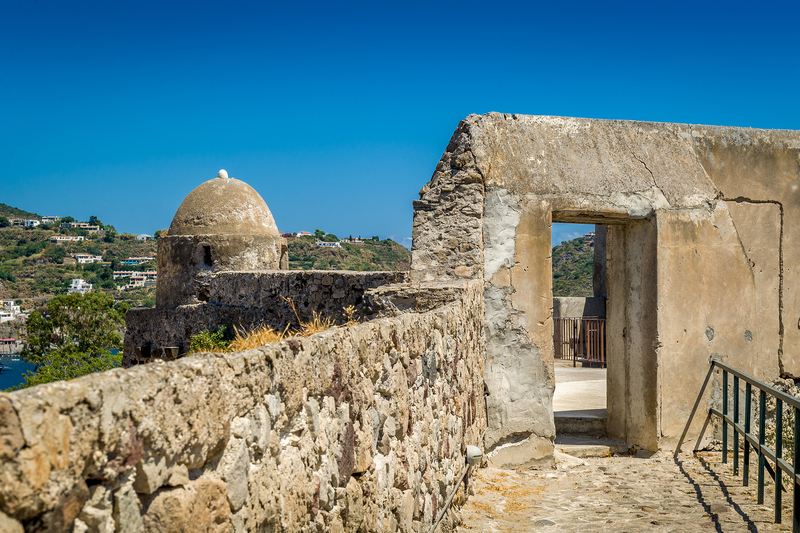 There are two main harbors in Lipari, on either side of the Castello. 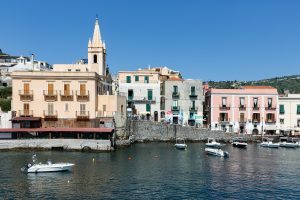 Marina Lunga is commercial and where ferries arrive, while Marina Corta is very picturesque with gaily painted little wooden fishing boats both bobbing in the water and hauled up on the quay ringed with cafes and restaurants. This is a lovely place to sit with a drink and relax, especially at night, when the harbor front comes alive. 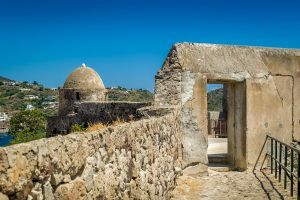 Lipari does have a very good museum, Museo Archeologico Regionale Eoliano, which is well worth visiting, especially for anyone interested in the history of the islands. Besides a collection of amphorae excavated from local wrecks, there is a nice exhibit of Greek glass vases and models of Greek theatrical masks mostly found in tombs on the island. 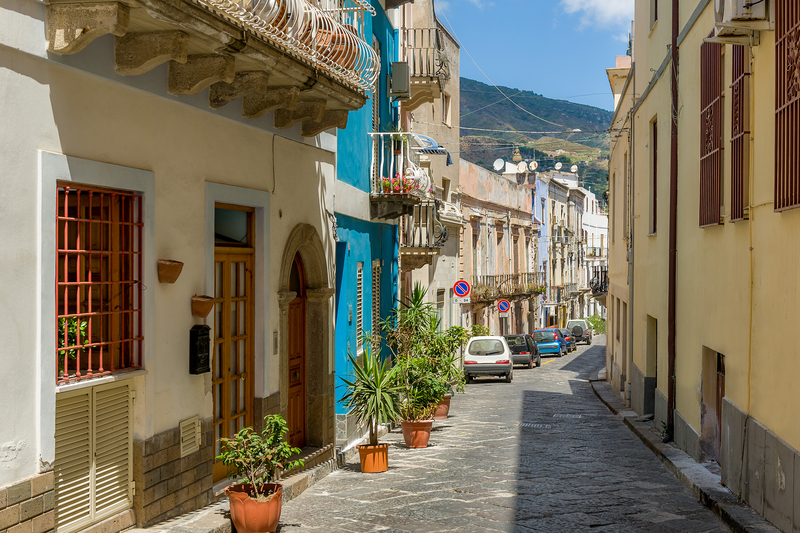 Explore the little village streets, where Greek tombs can be found and be sure to visit the Castello, once the center of life on Lipari, in which today there is a little museum. There is another village on Lipari, Canneto, which is more commercial with a long pebble beach. Just beyond Canneto is a nice sandy beach. There are hiking trails around the island where one might find souvenir pieces of pumice and obsidian, and as always, the caper bushes that grow at a prolific rate on all the Aeolian Islands. Lipari is the most settled of the Aeolian Islands. 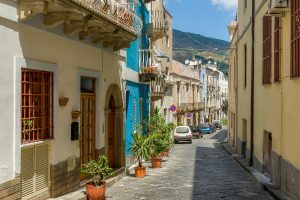 After visiting Lipari, head off to discover the other Aeolian Islands, close by, yet step back even further in yesteryear.